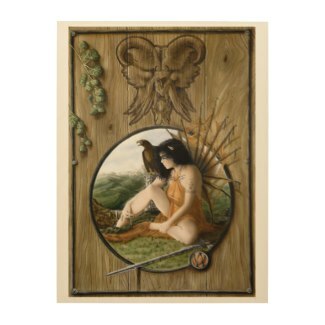 WoodSnap’s wood wall art. 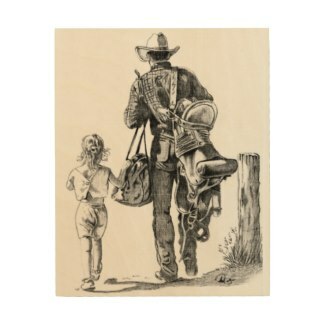 Printed on superior quality birch wood, each print is uniquely matched with the perfect wood canvas and printed with eco-friendly inks. Choose from 10 sizes - price depends on the size chosen. 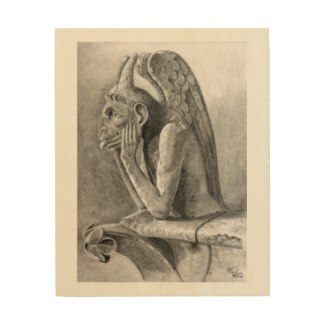 See examples below, or view all art available as a print on wood. 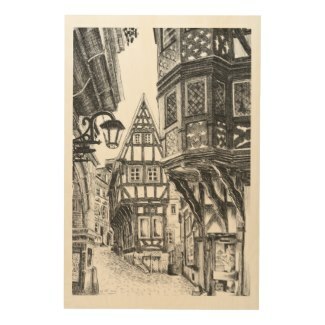 Pen and Ink drawing of medieval, half timbered houses in an old German towncenter. Airbrush painting of a woman wearing a black lacy top, long black gloves and a large sunhat. Interesting shadowplay makes this portrait something to look at. 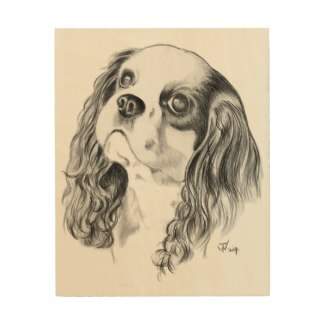 Pencil portrait of a Cavalier King Charles Spaniel - the perfect gift for any owner or breeder of these cute dogs! 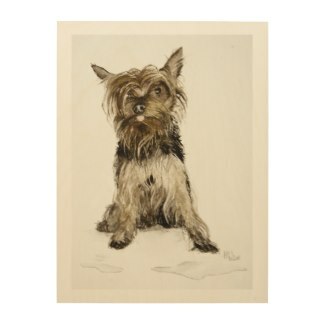 Watercolor painting of a cute Yorkie, wet and standing in puddles. 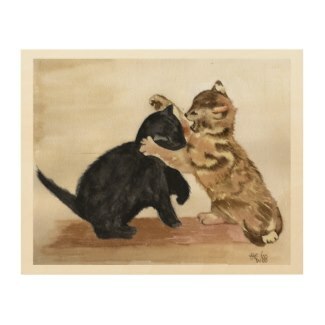 A wonderful gift for anyone who loves or owns a Yorkshire Terrier. 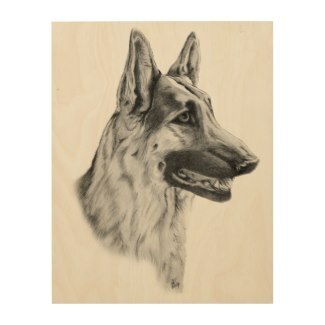 Pencil portrait of a beautiful German Shepherd dog - perfect wall decoration for any doglover!